Train Versus Pedestrian Accidents: Who’s to Blame? > Blog > Personal Injury > Train Versus Pedestrian Accidents: Who’s to Blame? Another commonality among most train accidents involving pedestrians and/or motorists is they take longer to clean up and investigate. National Transportation Safety Board member Robert Sumwalt speaking on these kinds of train accident dangers knows all too well how devastating the results can be for the families and communities involved. In the last three years, there were a reported 115 train accidents occurring in the Denver-Metro area, according to the Federal Railroad Administration (FRA). Train derailments occur once about every 90 minutes in the United States, according to the Accident Data Center. Approximately 300 people die in train related accidents every year. Railroad companies rely mostly on technology that was developed 70 years ago, and in the span of that time very little has been done by industry to improve safety measures. Trains carrying hazardous material derail on average about once every two weeks. These incidences can become so toxic that whole communities sometimes have to be evacuated. Suicides are a leading cause of death by train, but sometimes hobos or low-income people are just hitching a ride, which can result in grievous injuries or even death. 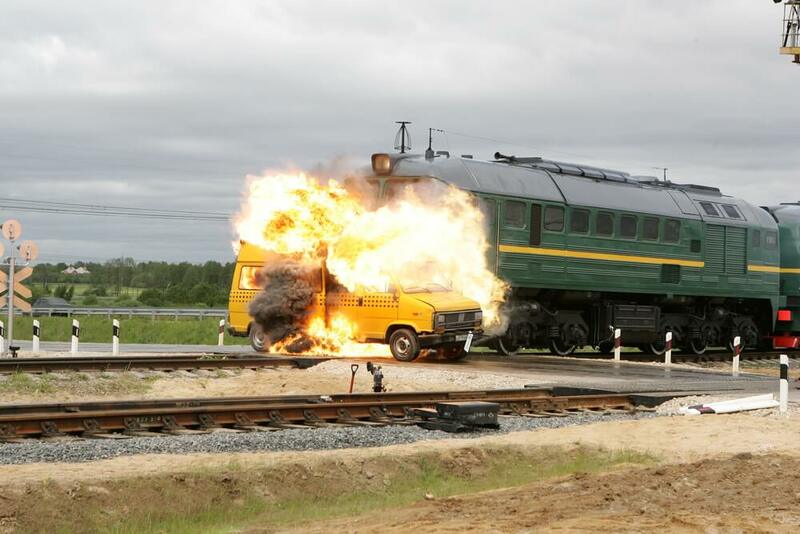 According to the FRA, there are approximately 5,800 car related train accidents every year. When Can Victims Still Claim Damages, If They are also to Blame? In Colorado, there is what is known as contributory negligence that allows plaintiffs who are partially responsible for the collision to file a claim for partial damages. This requires that the claimant be less at fault than the defendant. If the court finds the claimant was more at fault or their negligence was greater than the defendant, then they can’t recover any damages. The state also has a cap on “non-economic damages” for $300,000 for pain and suffering or loss or consortium. Have you or a loved one become permanently disfigured or injured as a result of a train related accident, where the defendant was at least more than 50 percent to blame for the cause? If so, the Colorado Springs Personal Injury Lawyer at Shakeshaft-Gorman Law Firm, LLP will take up your cause and help you fight to recover the damages that may be owed to you under the law. Let us set up a free, no-obligation meeting to discuss your case and what options are available to you by calling (719) 635-5886 or (800) 383-5886. Also, feel free to use the contact form on this page. We won’t charge you a thing unless you win a settlement or get a court award in your favor, so you have nothing to lose by using the very system that was put into place for situations like yours. We have offices in Colorado Springs, but we’ll serve clients all along the Front Range or throughout the state. 1“Crossing in Deadly Train-Bus Collision Has History of Accidents: NTSB” published in NBC News, March 8, 2017.